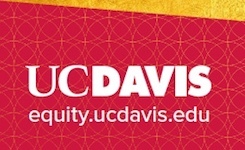 Join educators, community members and experts from a range of disciplines for the ninth annual Equity Summit that addresses the pertinent social issues of our time. The Equity Summit is an inspirational opportunity to connect with a individuals from students to community organizers. Take a look at videos from last year's event. This year's event features keynote speaker, Dr. Bettina L. Love, associate professor at the University of Georgia and award-winning author of "Hip Hop’s Li’l Sistas Speak: Negotiating Hip Hop Identities and Politics in the New South." Explore resources and book signings with various award-winning authors at a curated pop-up bookstore. Join us on February 19, 2019. Register today!